Then we will drive to the hillside village of Pyrgos (a protected EU settlement), to walk around the narrow streets that lead up to the Venetian castle of Kastelli. Next stop will be the Venetian fortress of Skaros in Imerovigli (located on the Caldera). 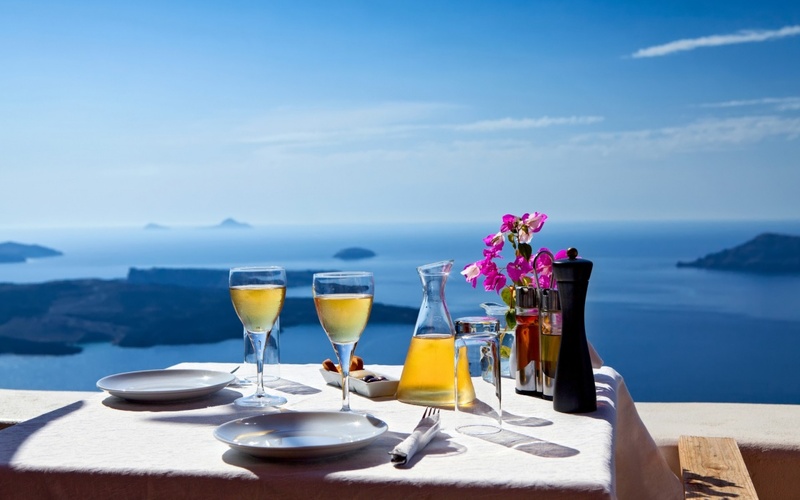 Our final stop is Oia, where you will have free time to visit the village and watch the sunset. We return after sunset. Then we continue to the villages of Megalochori, Emporio and Akrotiri to admire the architecture and the narrow winding streets, we stay in each village for about 45 minutes.. In Akrotiri Village you can visit the excavations of ancient settlement of Santorini. Then we continue to Perivolos beach or Perissa beach, where you will have about 2 hours of free time for swimming and lunch. On the journey back to Perissa we visit a winery to learn about traditional wine making & taste local Santorinian wines. 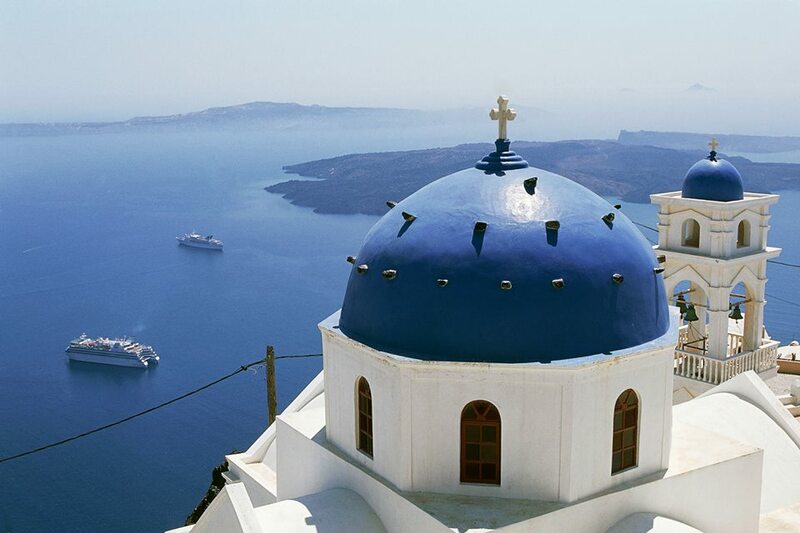 At first, we will make a stop in the Firostefani, a village only a few meters away from Fira. There you can get the first pictures of the famous Blue Dom Church and the caldera with the volcano and the rest little islands. 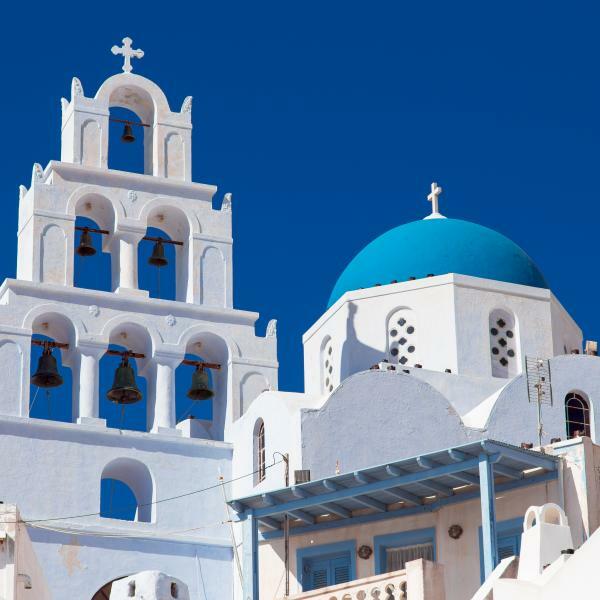 The tour continues north to Oia, a must-see for everyone in Santorini. 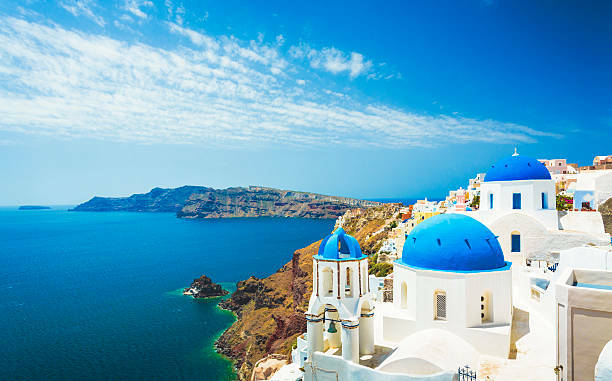 Famous for its sunset, Oia stands for one of the most popular attractions in Greece. In Oia Village you can ramble through the narrow cobbled streets that lead to the old castle. At the end you have free time for shopping for arts and crafts in the little boutique shops and take pictures of the spectacular views. As last stop, we should visit at least one traditional winery. After having a guided tour at the premises of the winery to learn the old and current wine-making techniques, we taste some of the most important local wine varieties.